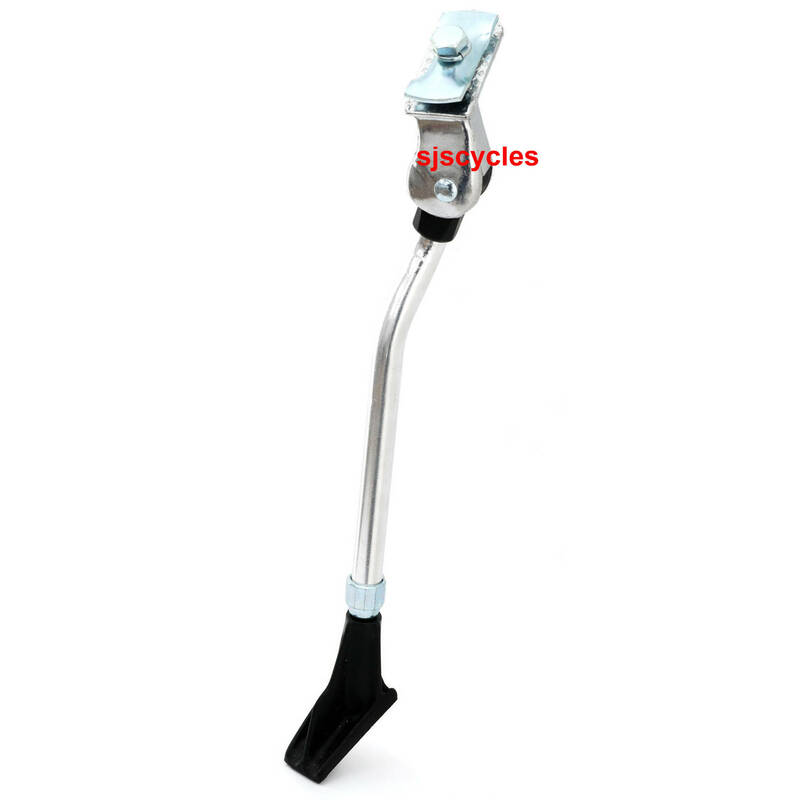 Folding propstand for bicycles. Simple assembly. Clamps to bridge behind seat tube. My general advice is avoid any cheap stand. This one does the job for unloaded bikes but would struggle with something as big and heavy as my nexus bike. I would recommend the more expensive Herbie stands if you can afford one. Make sure your frame can accomodate this stand too! Plenty of adjustment, very stable, but not very strong. Mine collapsed yesterday whilst supporting a bike with about 5Kg of shopping and a child of around 10Kg in a front mounted child seat. Fortunately I caught the bike as it fell. The alloy failed just below the clamp where it appears quite thick. Had been using it for a few months without a problem until this sudden failure. Could you tell me what size wheels this stand covers?